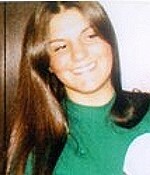 The 1975 unsolved homicide of Judy Lord. On May 20, 1975 at approximately 12:30 p.m., the body of Judy Lord, age 22, was discovered in her Royal Gardens apartment in Concord, NH. She had been suffocated and strangled. At the time of her murder, Judy Lord lived with her seventeen-month-old son Gregory. Judy was last seen alive on the evening of May 19, 1975 at about 10:30 p.m., when she left a volleyball game that was being played in a common area of the apartment complex. Crime scene technicians spent over two days processing the apartment for evidence. Over the years numerous interviews have been conducted with friends, neighbors and acquaintances. Despite the efforts of investigators and the New Hampshire State Police Crime Lab, this case remains unsolved.